The BBC has been accused of “ignoring” a large pro-European Union (EU) protest over the weekend, where several British establishment figures took to the rallying stage. 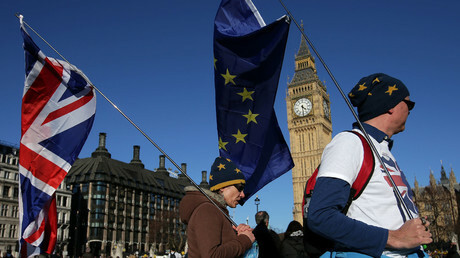 An estimated 100,000 people marched in London on Saturday during a Unite for Europe demonstration against ‘hard Brexit’. Several past and current Westminster politicians, including Liberal Democrat leader Tim Farron and former Labour spin-doctor Alastair Campbell, took part in the protest. However, the BBC barely touched the event. “Am assuming the Brextremist Lie Machine bullying of the BBC means this excellent rally not being covered. #FarageNews,” Campbell tweeted on the day. An article on the channel’s website was also criticized for focusing on the minute’s silence for the victims of last Wednesday’s terrorist attack in Westminster rather than the actual topic of the march. “Appalling editorial. This has NOTHING to do with the attacks. 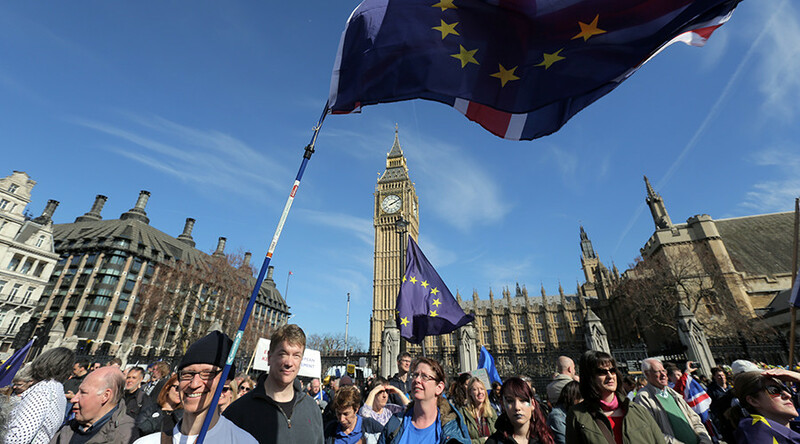 We marched against Brexit,” said one Facebook user. Other well-known establishment figures took to social media to vent against the public broadcaster’s decision to cover the story only on the 6pm and 10pm national bulletins. Is BBC under political pressure to play down massive anti-#Brexit movement in the UK? You bet it is. The Downing St stench grows. Be angry. “Is BBC under political pressure to play down massive anti-Brexit movement in the UK? You bet it is. The Downing St stench grows. Be angry,” author and philosopher AC Grayling wrote on Twitter. Some pointed out the event had more coverage in Portuguese and German news than on Britain’s largest news broadcaster. According to the Independent, the BBC declined to comment and was unable to divulge the number of complaints it had received over the day’s coverage. The exact amount of time dedicated to the protest was also not confirmed. Some, however, said the BBC was being wrongly targeted. “Can we please not add ‘public trust in the BBC’ to the list of Brexit’s many victims? If we erode that edifice we’ll just get more Fake News,” TV presenter Greg Jenner said on Twitter. Despite the complaints, the BBC has more readily been accused of having an anti-Brexit bias. Last week, a group of 70 MPs used pro-Brexit newspapers, the Telegraph and Daily Mail, to publish an open letter to ‘Auntie’, shaming the channel for its alleged pro-EU stance. “I agree with you that these are consequential times. For that reason, it is more important than ever that the BBC’s journalism is independent of political pressure,” BBC Director General Tony Hall wrote in reply.